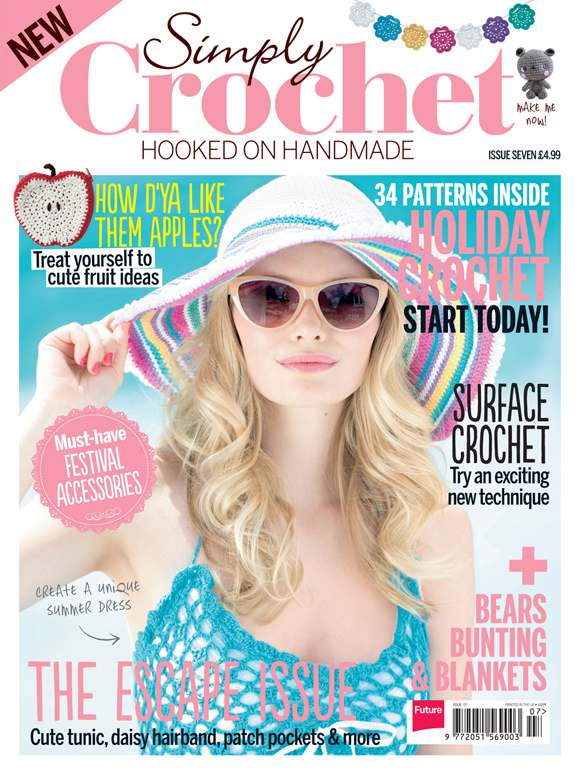 We’re in Simply Crochet Issue 19! 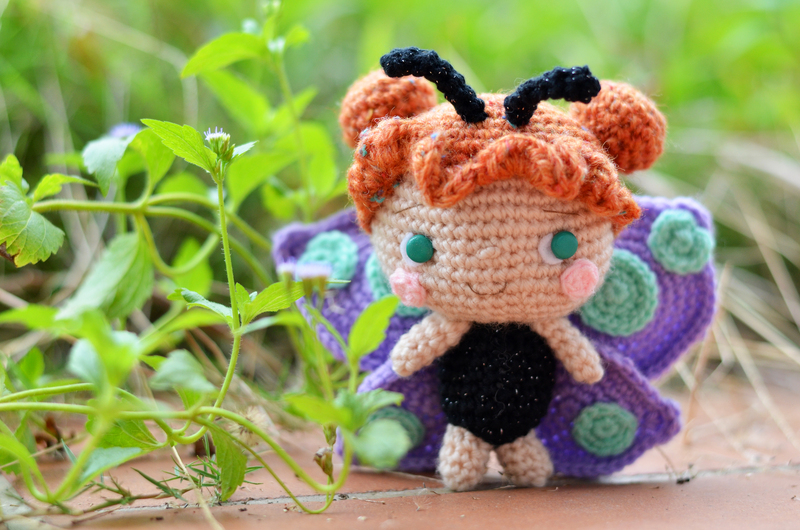 Several months ago, I was asked to design a sweet butterfly girl for the magazine and boy, was I excited to start! 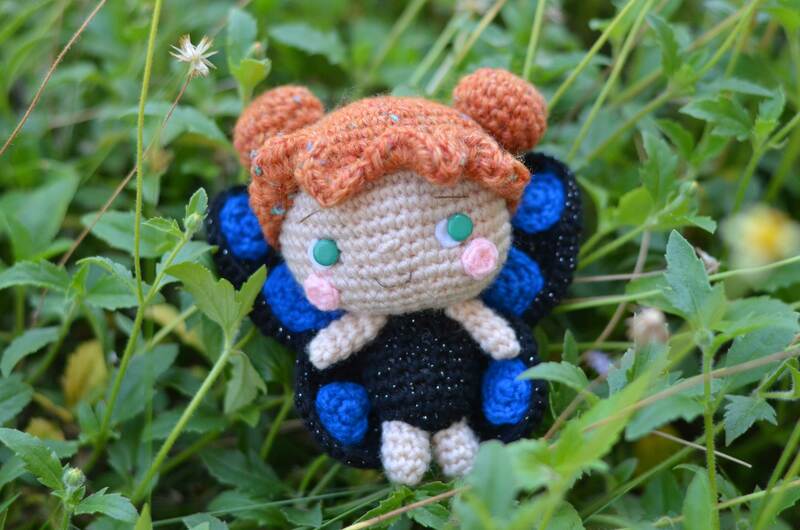 The pattern took several weeks to perfect — I had originally made the wings in black and blue (pretty like the Blue Morpho butterfly) but had to change them to lighter colours so that they would stand out a little more. 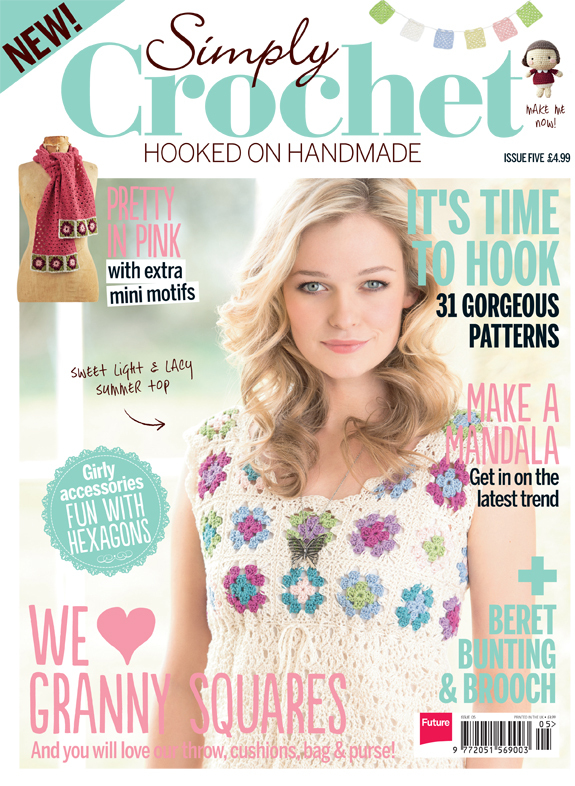 Cho-Cho (蝶 or Chō is butterfly in Japanese) can be seen on the cover and also on the mag’s web. 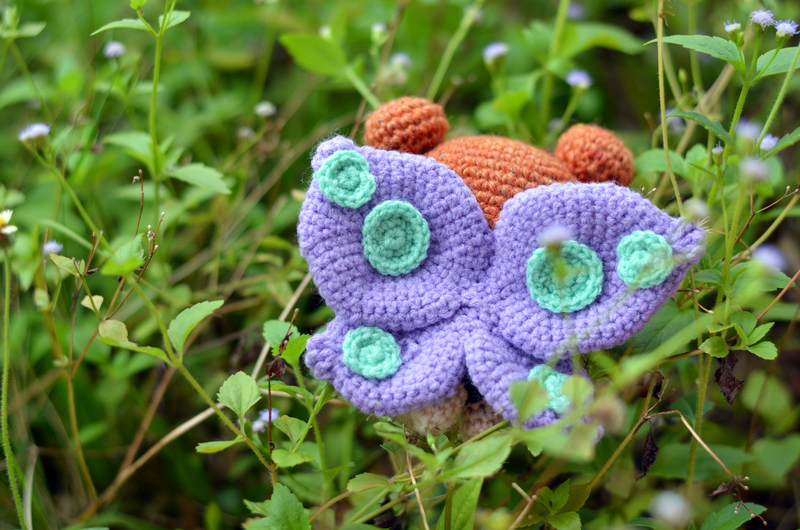 I was delighted to find it hovering here at this page! Here’s what Cho-Cho looked like from before. What do you think? She’s so cute!! I hope she’ll also be in the Dutch issue of the magazine!! 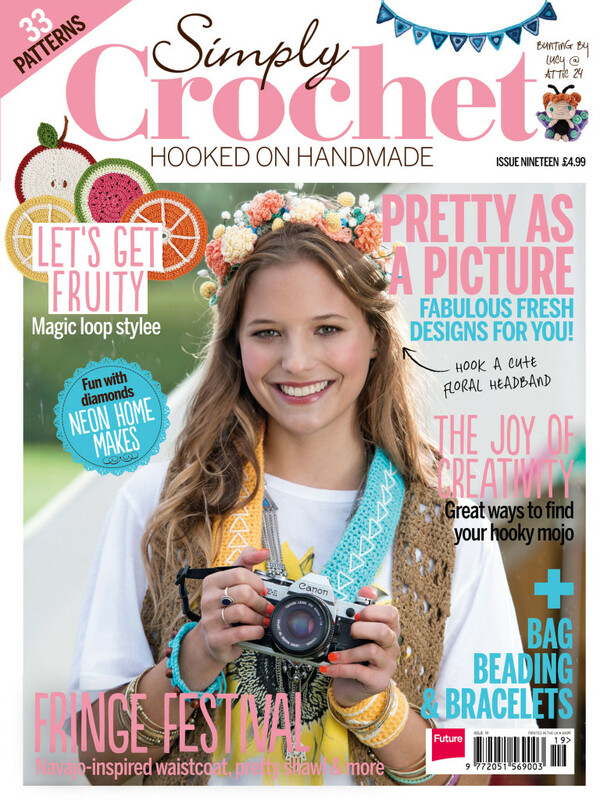 Congratulations on your project in Simply Crochet. 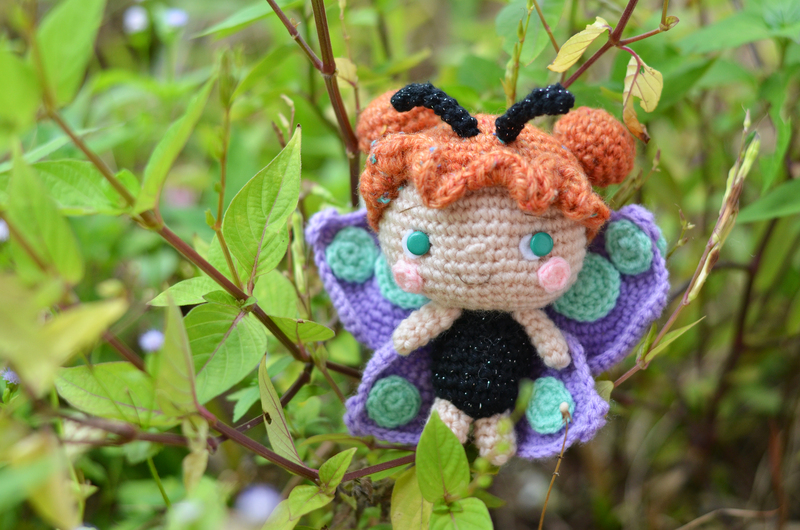 The butterfly doll is really cute. I definitely like the lighter color wings. 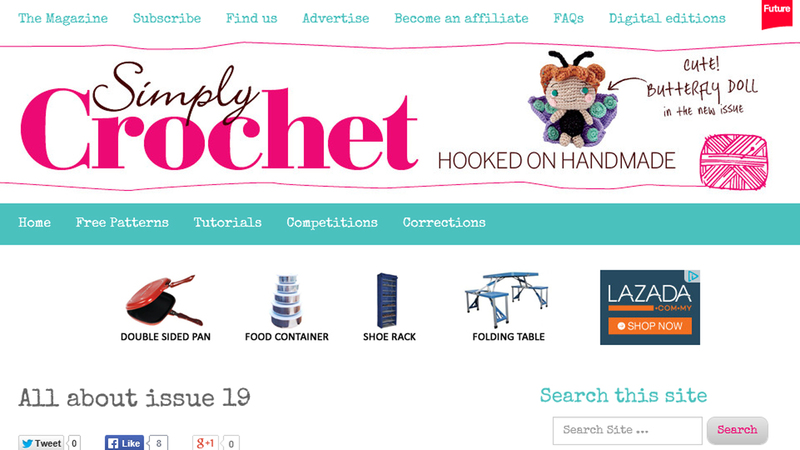 I will most definitely be getting the magazine and checking out your pattern.